No, I’m not talking height. Or density. I’m talking resiliency. Loyal readers know I rarely write my opinions here, but many of you know I also care very deeply about the issue of sea level rise. And as I have written before, when it comes to the adapt or retreat philosophy, I am firmly in the adapt camp. I have no intention of abandoning this city. This week, Miami Beach officials kicked off a planning process for the future of the West Lots, eight contiguous City-owned lots from 79th to 87th Streets fronting Collins Avenue across from the North Beach Oceanside Park. Unfortunately, the process started with some rather ho-hum, "more of the same" ideas that can be found anywhere in this city or any city for that matter: residential buildings, retail shops, a grocery store, cafés, community meeting space and a library. A community swimming pool. Maybe a parking lot. All of the above are contemplated for developments proposed for the Town Center and Ocean Terrace areas not too far from the West Lots. Why would we want more of the same? Why would we take one of the largest undeveloped land masses in Miami Beach and squander the opportunity to do something great? Something transformative. Something that benefits this community for a long time to come. Why not think big? The City recently completed the first step of its “red team” review by a team from the Urban Land Institute (ULI). A final report is due this summer. While they gave the City high marks for our leadership in the area of resiliency, they also challenged us to think bigger – as big as the challenges we’re facing. As big as our desire to see this City “rise above”. The ULI team urged us to come up with “a comprehensive vision for living with water”, a vision that combines engineering with green space and placemaking. They challenged us to imagine a future where science and art work together in blending a resilient future with a vibrant culture. Juanita Hardy, Senior Visiting Fellow at the ULI Center for Creative Placemaking, showed us examples of the possible, including Confluence Park in San Antonio, Texas. Built to be an educational park, it was part of a $400 million river restoration project. The pavilion in the park was designed by an artist working with an engineer and architect. It acts as a cover for visitors during bad weather and also as a cap that captures water, channeling it to a reservoir below the city that gets recycled. The park and pavilion have become an attraction. “The $77 million investment [in the river infrastructure improvement project] in 2009 is now yielding about a $140 million benefit annually,” Hardy said. Walter Meyer, Founding Principal of Local Office Landscape Architecture, noted the uniqueness of Miami Beach’s ecosystem – “water comes from everywhere” – the beach, Bay, and up from porous limestone. He described the City’s topography as sloping from the beach to the Bay with a “bowl” in the center where many of our historic districts are located – exactly the conditions around the West Lots. The ULI team recommended parks and open spaces to act like sponges to absorb water, using architectural solutions for storing water, and blue streets “that convey water to the Bay without using pipes”. Open spaces in Miami Beach constitute only 17% of the island: 5% beaches, 5% active open space, and 7% golf courses according to ULI, far less than the quarter or a third of other global cities like New York or London. Those open spaces provide opportunities to hold water, later disbursing it. What if we looked at the West Lots as a piece of the puzzle? 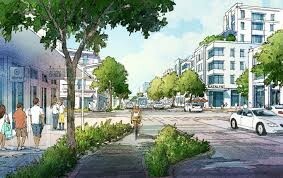 As a sponge that absorbs water, as a place to hold water and move it from the beach to the Bay, connected to blue streets in the “bowl” as a means of protecting the many residential and contributing buildings in North Beach? What if it became an attraction? A resilient park that also represents a resilient community? A global standard? What would that mean in quantifiable terms – revenue, as in the Confluence Park example – as well as the unquantifiable, quality of life and peace of mind (at least for a longer period of time until technology provides a better solution)? 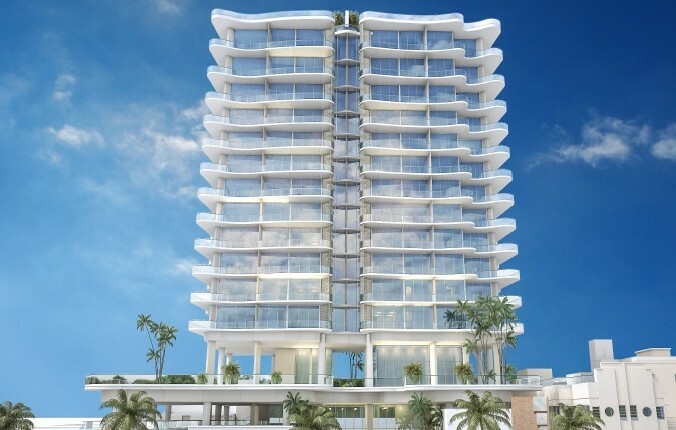 "Miami Beach in its deepest history has been a place of innovation," Meyer said. He noted some of the world’s first aerial photographs were taken over Miami Beach in 1924. Two years later, following the Great Hurricane of ’26, South Florida created the first building codes in the United States which were later adopted by 5,000 cities. Hurricane Andrew in 1992 resulted in “some of the strictest building codes in the world today”, also initiated in South Florida. “What you guys are doing here now [is] giving another standard for the world, standards for other global cities to learn from,” Meyer said. How about we really give them something to talk about? Let’s go big on innovation. Let’s go big on resiliency and ensuring our future. Let’s go big on the West Lots.